I have a weakness for weekend breakfast. I don’t eat eggs, so that tends to scratch out most of the savory options (except hashbrowns and bacon, and boy do I love the bacon). What’s left is sweet confectionery breadlike products. Crepes, pancakes, buns, rolls and french toast. In fact, through most of my college years I lived off of Burger King dollar menu french toast sticks and Mocha Joe. If you’ve never had the french toast sticks, they are crispy on the outside, soft and bready on the inside, and they come with syrup to dip them in. 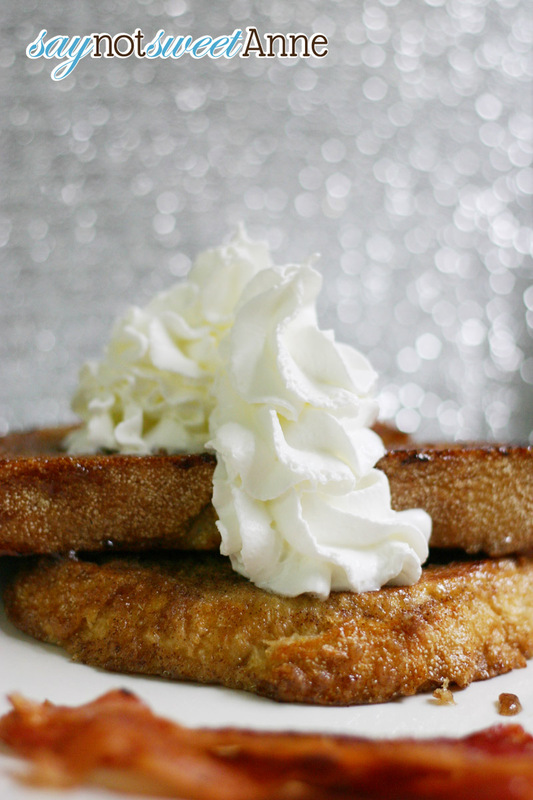 Surprisingly, after college I began to crave that sort of crispy and soft french toast. 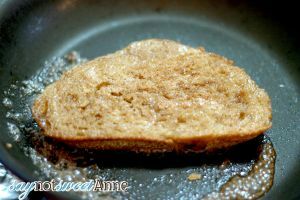 Most of the french toast that I make at home is soft and gooey, lacking that crispy crust. That is, until now. The secret is in the sugar dusting. 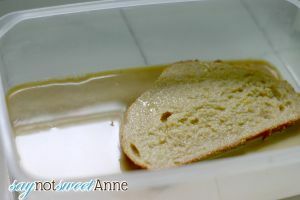 The sugar caramelizes on the outside and give a great crunch to the toast no matter how long it sits in syrup. Add a little chai spice and its a breakfast made in heaven! 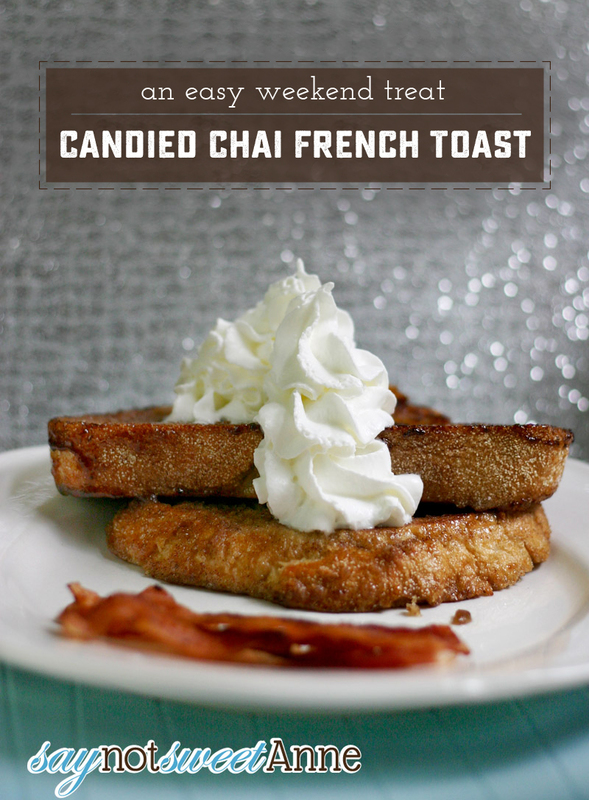 I call it Candied Chai French Toast! Day old bread. I used a sourdough I had around. Cinnamon sugar- about 3/4 cup. It uses more than it looks. Slice your bread and let it sit out to get nice and dry. I tend to bake mine at 200 degrees on the rack of my convection oven for about 3 minutes because I’m impatient. Mix the egg, milk and chai spice in a dish large enough to soak the bread in. 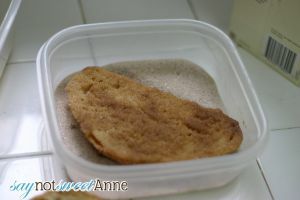 In another dish large enough to fit the bread, put about 1/2 of the cinnamon sugar mixture. This way, if you don’t use it all you can save it. Add more to the dish as needed. Heat a lightly greased pan to about medium high. Dip the dry break in the egg and milk mixture, letting it absorb as much as it can. 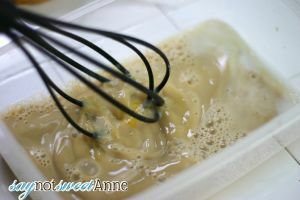 Let it drip off a few seconds and then coat it in the sugar on both sides. 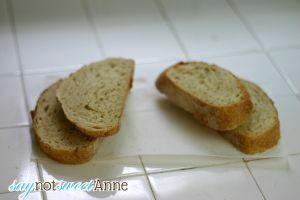 Plop the bread into the pan and cook until brown and crisp, about 2 minutes on each side. 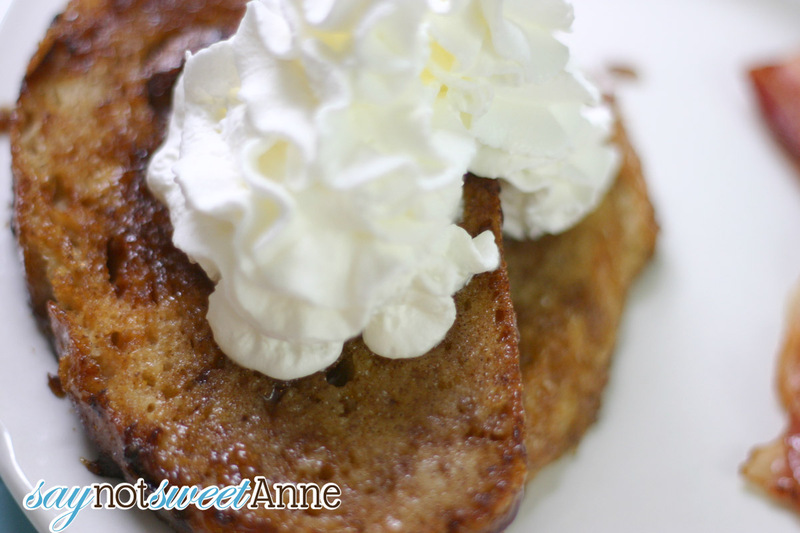 I like to serve mine with just whipped cream, as the chai and sugar really give the chai french toast enough sweetness and flavor to stand without syrup. Its perfect with some bacon and hot coffee! Yum! Chai brings such a unique flavor to things. I think my husband would love this!